Hello to all the Lineage players reading the very first of many articles I will write. I'm going to start a new form of Lineage where players get interviewed by myself or a represnative of me and I'll put their stories and ideas up on http://www.lineagecompendium.com/ granting Amer's approval. The first interview is on well me! the great ToiletPaper. Lots of you probably don't know me but I have been playing Lineage for about seven years now. On and off of course. And there have been many names which I have taken on over that time, heres a run down of them: I was originally on Alpha, FOXFIRE, RAMPAGE, R4MP4G3. I first got into Lineage from a friend that also plays. Danny1437 and SKSport areboth my good real life friends for well over 15 years. As you can guess I'm quite old.. older then most new lineage players. I'm pushing 21. With all the time I have spent playing Lineage I have so many stories i dont know where to begin. So I'll try at the beginning in the summer of grade 8. My friend Danny1437 invited us over to try a new game and immediately I was hooked.. the graphics... the game play.. the rewards -- it was great.. I have never seen a game that was so amazing and FREE (Yes, Lineage was free for the longest time). Needless to say there was rampant cheating and many flaws in the game but it was still amamzing. Although it was only Talking Island North to hunt in.. and only Orcs, Floating eyes, Golems and Elders to hunt it was still a thrill. Most of the game consisted of Korean players but they were very nice for the most part. Many gave me free (hacked) oak wands (wands of wishing) just for talking to them like a person. And chatting was used by the ! command becaues the world was so small. Back then the max HP was 255. and the max lvl was 16-18 I forget.. 7 years I can't remember it all people! Eyes droped SOR's, golems droped Unicorn Horns (1 handed) and elders droped Oak wands. There were no stores so pots were rare. and if you drank one at full HP you gained 1 max HP. Asking my friend Colors (Kevin) (also Sandy and Desolation) for a cool name. ToiletPaper was the one Kevin came out with.. and is now immortalized in Lineage history forever. I levelled amazingly fast for an elf back then, getting to lvl 27 in 3 days. (Don't scoff that was good back when there was only 10 or so lvl 30+ players!) Then I found out that magic would not be given to elfs or at least not all of it.. so i started a mage named Greneg.. and hunted like a madman on no-doze. Getting to level 16 just as we got magic. and then FB-ing to 20.. only to get magic taken away.. and i was upset over this so I quit for another year. coming back to find that Lineage was more popular then ever. With over 500 people online at peak hours. Still being free and the best damn game ever. So i re-made my famous ToiletPaper elf and the joy was back. Dex elfs were never so much fun. i remember hunting in 3rd floor MLC not for caspa. but for exp. yes exp! and when Caspa did come.. the carnage was insane. not many people had the balls or will to take all 4 dark elders on. and in my folly i went to a game room in Toronto to see who else played this amazing game. a lot of people to be suprised. when i walked into the room to the sound of a shelob getting womped on. i was home lol.. But I was careless and the account was hacked after I left the game room due to a keylogger. so i had to start over... but one of my friends being a nice guy gave me his old elf named Leif and i was back! Popping people left and right. -32k in no time flat baby! ah the war.. and the gate fun. there was never a time that ANY gate in Lineage didnt have 3-7 people dueling. that was what made it so fun..
also on the account was a level 24 mage.. a rarity then named so i tested him out.. and at lvl 24 i could 1:1 knight lvl 48 and higher and best them using just V-T and Erupt it was a good time to be a mage. Periodically taking time to log out and visit IK's webpage and school i soon found it hard to stay awake. so i had to quit to focus on my studies. But i came back just as the old 63.77 server was wiping. and I got the (now known as Dep) IP from an inside sorce and started levelling up there before most knew it was open. There was only 10 or so people on it that knew the IP. Me (ToiletPaper / Jesus), Mealgwyn, XHX, IK, Glong, GreatRift, Satoshi, Shinobi, Sandy, Deso, Kevin all had a blast... it was hard because the monsters were so fast and so many of them ! but the drops were great and mages still owned! GZa was the first to lvl 30+ I think then. anyways! I soon found out that i needed to make money to support my lineage addiction.. Yes, addiction, so i got a job... and it cut into my playing time -- I soon quit Lineage altogether for about a year or so. and when i came back i found out that allmost all my friends had quit. it made me sad because i have known some of these people for well over 5-6 years. but i still talk to them over icq / msn / cell phone test msgs some times. i would like to see the pots delay put back to normal, i would like to see real ONLINE support instead of people telling me to e-mail support, i would LOVE to see my friends come back to lineage, i would like it to go back to the old server ways where people did care about adena, only having fun the way it should be! all u newbies have fun dont get greedy!!! Anything you like about lineage? i like that there trying to balance the game out more. i like that its a game for all ages races and genders. and i like the team play aspect. and with over 700 confirmed PK's i LOVE PKING! "Fall to your knees and beg for mercy, for i am the beginning and end of all that reside in my world!" SKSport, Danny1437, Sandy, Desolation, Kevin, IceBox, Brutus, Dlirk, Devine, TheEchyOne, Kenny, WeaponX, Glong, GrateRift, ICQ, ReDeMeeR, and all the rest i cant remember im sorry its been 7 years of fun! Silly TP, Lineage begain beta in earily 97 in 95 it was only a thought inside Jake song's head. You have bad memeory? the max level was 16, ADena was in game from start. you just couldnt do jack with it. I collected only 5300 adena it weighed to much so i didnt really want it. You drink a red @ full for 1 hp and orange for 2-5. There wasn't oranges in the beginning. There wasn't a max level, people just didn't want to level becasue the highest EXP from a monster back then was from the Stone Golems. Oak Wands weren't hacked. Elders dropped them and you could of feed them to slime and have them recharged until they took that out. You were able to create ur own items. Only a few people knew that you were able to use GMs command to create item (but not exp value). TSUs were 1hs and easy to come by. Golems dropped them. Skeletons dropped katanas. Orc Fighters (the current look), wasn't in the game though. They had an event where they had Orc Fighters/King in the orginial orc look walking around dropping wands and rings and other crap. SOR's weren't in the game back then if I recalled, there was no need for them. Back then, you had to create accounts individually. There was only female elf, m/f princes m/f knights. People would pay a lot of items (when beta was getting towards the end), for certain elf rolls. Most koreans weren't nice to US players. They were rude and cruel and got help from the GMs (Jake). During a short time, you were able to weild arrows and kill anyone with one hit. The koreans (usually in female elf form), stand at the gates and smacked you while you head out. Armor and weapon were easy to grab back then. You could usually just go ask someone and they would give it to you. There was no trade window so you had to drop the items and walk to the pile you were trading for. People usually steal it though. The scrolls we have now were called something different back then. Verr, Venz, Fooels, Mer. There were no pledges back then. Princes couldn't make them. Actually, im not sure if princes were there back then... foggy memory. ReDeMeeR was a knight biatch thief. Everyone hated him. ToiletPaper, wasnt that char a mage to start out with. Thiefing people and having us hunt u down? Rampage, wasnt that char always in WW morph? Orc Archer was the best morph for Mages. They could kill any knight with Vampiric Touch in that morph. Just ask lord vegeta/gassina when he dropped his +8kat (which was a lot back then). Since I played before all of you, I'll clear this up. 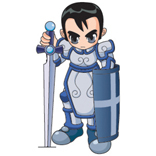 Lineage came out in 1997 in its earliest form. About 5 years ago. There was Orange Potions in the beginning. The max Level was 18. Oak Wands were Gamemaster only. Players got one and duped it. Shields of Reflection were always in the game. There was only a Princess, no Prince when Lineage started, and yes there was Pledges, just no emblems yet. You're talking about two different time periods. All your shout-out friends come from the U.S. (Korean) beta, not the original. There was the Korean beta, then there was the U.S beta, which lots of our current players seem to refer to as Korean beta. This was all when Lineage was owned by Tronco AND NCSoft.